The Mission Rooms were located in what is presently the Wood River Inn in the Wyoming section of Richmond. They were funded/run by the Wood River Baptist Church Ladies Aide Society, who raised money through sales, games and other contests for the church. For example, in 1938 they sponsored a mock wedding. Hand made gowns were worn by local young participants. The Mission provided temporary quarters while people were looking for a permanent residence and it is possible it contained as many as 9 beds. 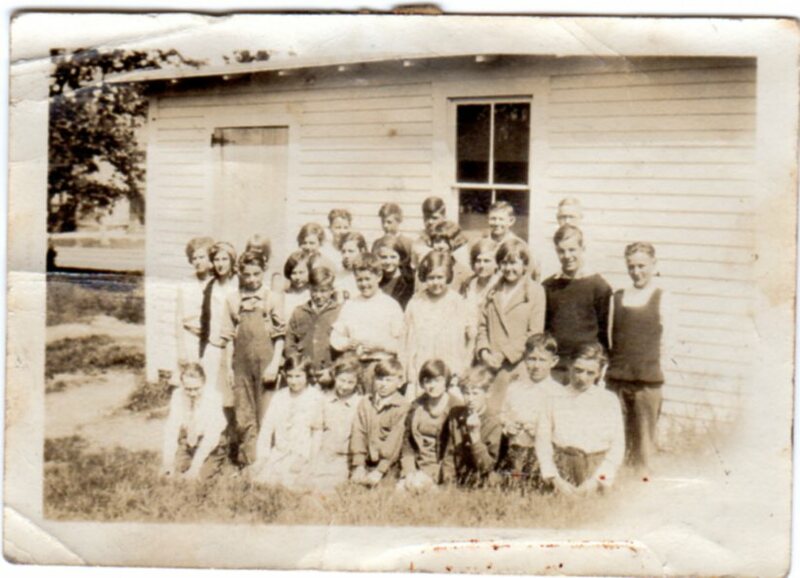 We are not certain if any type of education, religious or secular, was held there, however on the back of the above photo is written: 6th, 7th, 8th grade classes on back steps of Mission Rooms in Wyoming. 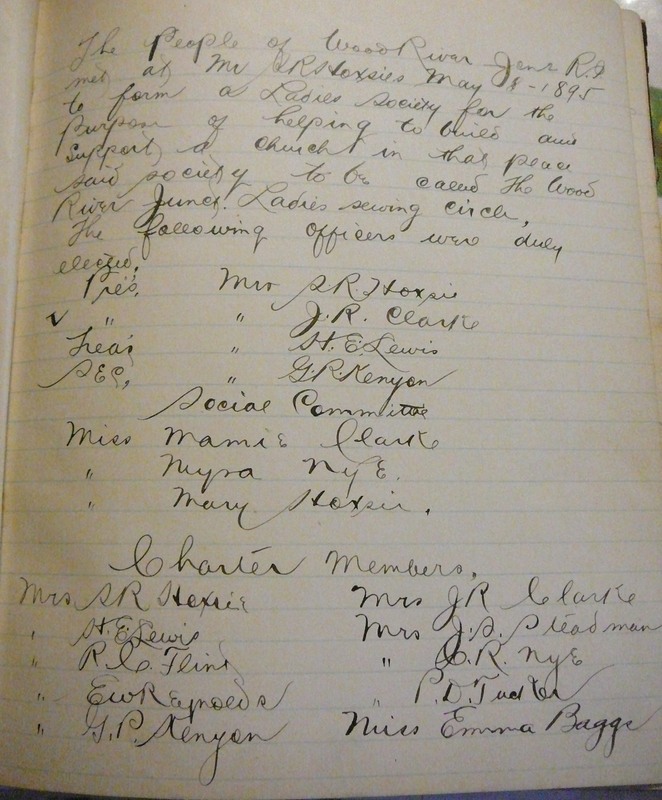 On May 8, 1895 a group of women met at Mr. S. R. Hoxsie’s home to form “the Ladies Society for the purpose of helping to build and support a church”. The Wood River Junction Ladies Sewing Circle was officially formed. Officers were elected, rules and by-laws created, and weekly meetings held. Dues in the amount of five cents were collected at each meeting. Gentlemen were allowed as honorary members. There were fines for not wearing an apron, or getting angry. Monthly, a supper and entertainment was held. An admission was charged for this event. 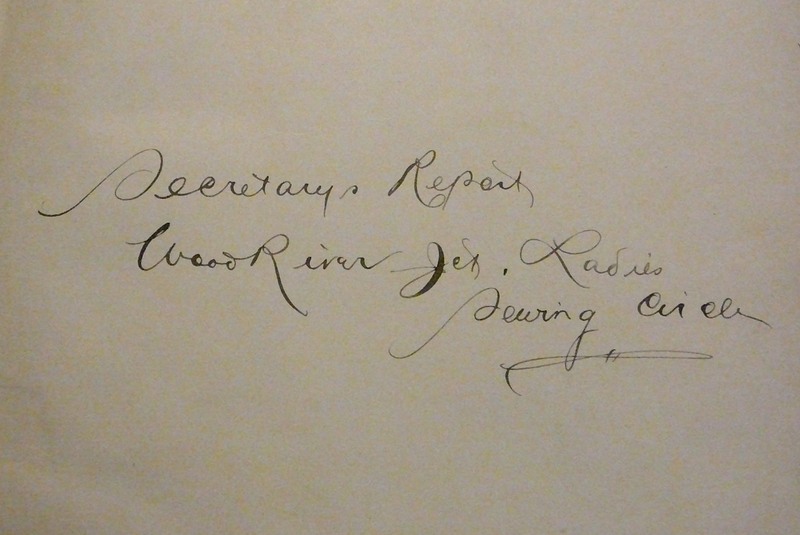 The last entry, dated May 6, 1903, referred to Mrs C.R. Nye settling her accounts. 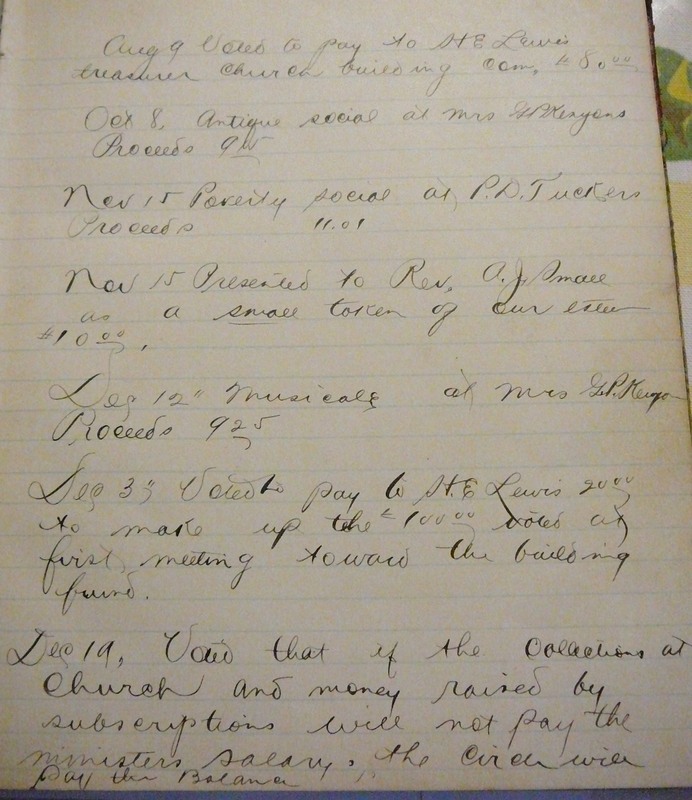 It appears, at that time, she was “living so far away” and helping her new church. 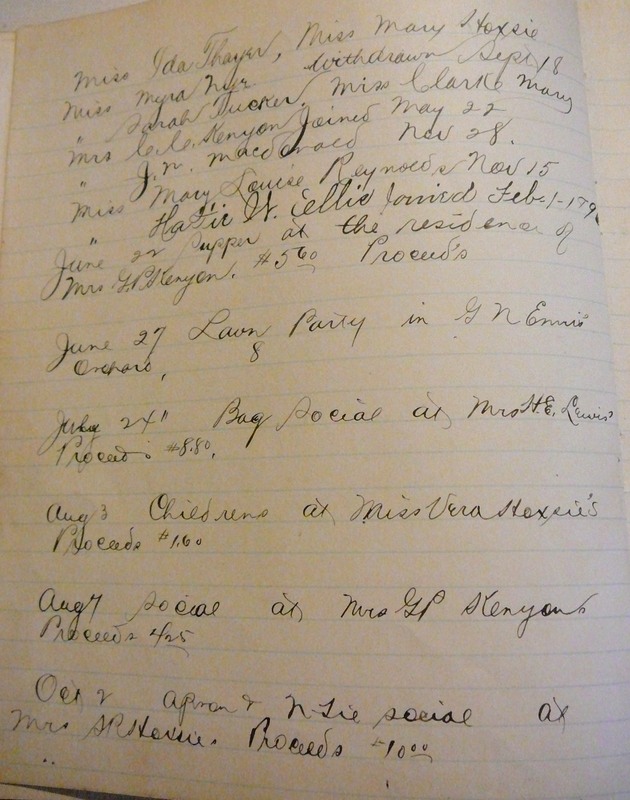 Records such as this provide insight into the daily activities of the people living in our area.